“Doctor, I saw a commercial on TV for a new drug to treat arthritis,” is a statement I’ve heard time and again from my patients suffering with osteoarthritis (OA). Despite the fact that OA is one of the most prevalent diseases among middle-age and older adults, there are few treatment options for OA patients. 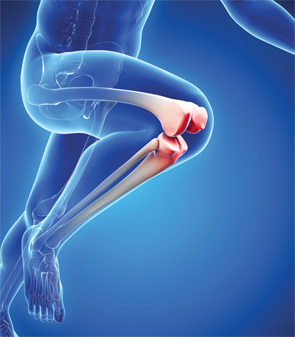 We all know the therapeutic progression for knee OA, for example: weight loss and exercise, acetaminophen, nonsteroidal antiinflammatory drugs (NSAIDs), corticosteroid injections and some physical therapy, now and again. Go back a few decades, and the options were the same. In this article, a brief overview of OA pathogenesis frames recent discoveries suggesting that new strategies for this disease are possible.